Chia seeds are among the healthiest foods on the planet. They deliver a massive amount of nutrients with very few calories, so are an ideal feel-good filling breakfast option! 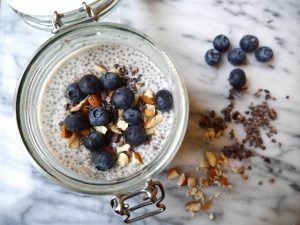 They are bursting with antioxidants, and some studies even report that chia seeds have more antioxidants than blueberries; either way, they are an amazing superfood. Chia seeds have the highest plant-based source of omega-3 fatty acids, essential for keeping our hearts and brains healthy. They also have a high protein content and almost all of their carbs are made up of fibre, which is why they keep us feeling full for hours. 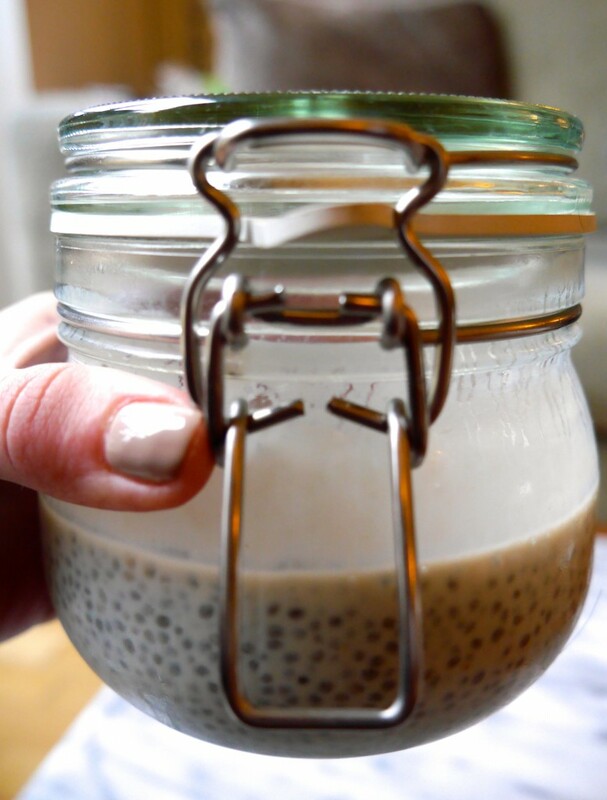 When you combine chia seeds with liquid and leave them to soak for a few hours (preferably overnight), they absorb the liquid and expand, creating a frogspawn-like texture. I personally really enjoy the consistency that this pudding recipe creates, but you can add more or less nut milk to create a thinner or thicker pudding; it’s totally up to you! 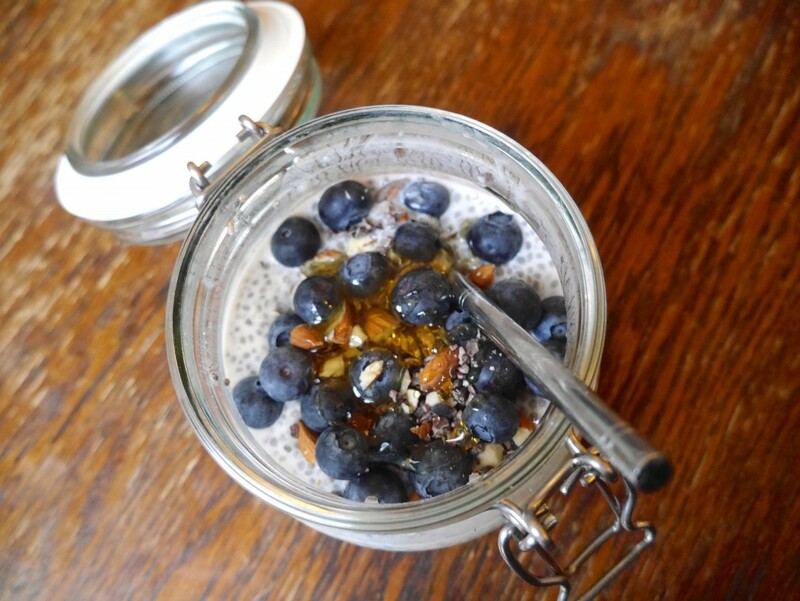 I know chia seed puddings sound a bit alien and always look like they require loads of effort to make, but they are so, so simple and easy to put together; they just require a little pre-thinking. Another awesome thing about them is they are so versatile. You can add absolutely anything to the mix to create whatever flavour your heart desires. I have to say a heaping tbsp of almond butter is seriously dreamy and really hits the spot for me, but you can experiment and see what does it for you! I always top mine with crunchy bits to add texture and goodness too. I especially love using fresh berries, crushed nuts, nut butters and cacao nibs. Give it a go and let me know what you think! 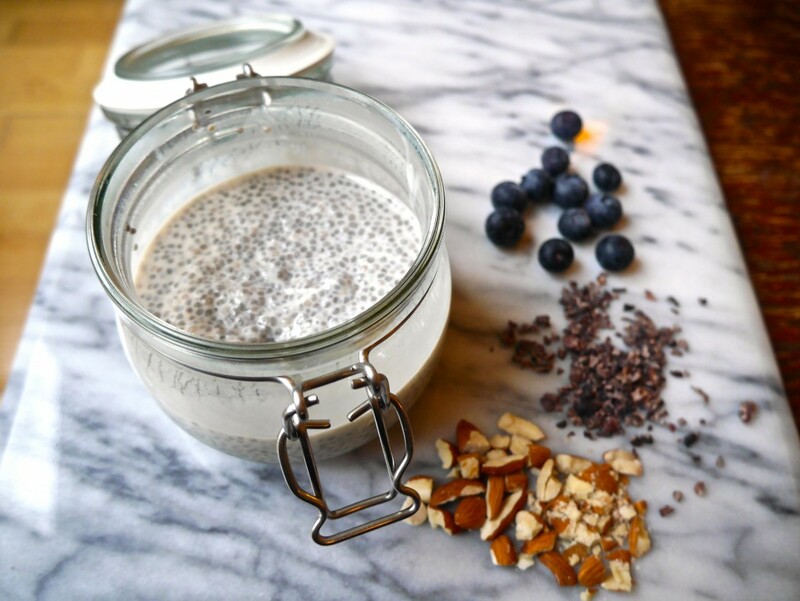 Add the chia seeds, almond milk & vanilla extract to a bowl or jar. Stir the ingredients & place in the fridge overnight.